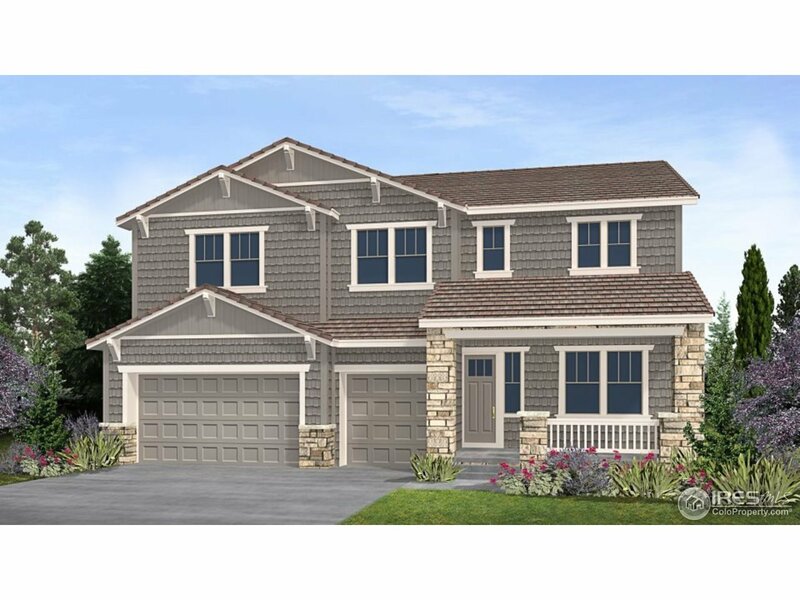 Popular plan on nice sized corner home site with large covered patio and stacking sliders to enjoy out door living in Colorado. Amazing gourmet kitchen with double islands, abundance of cabinets, quartz counters, wine storage and more. Full unfinished basement with 9&apos; ceiling and rough plumbing for bath and wet bar. Spacious upstairs loft with a flood of natural light and second story laundry room with cabinets and sink. Study on the main floor plus two fireplaces for cozy winter nights.